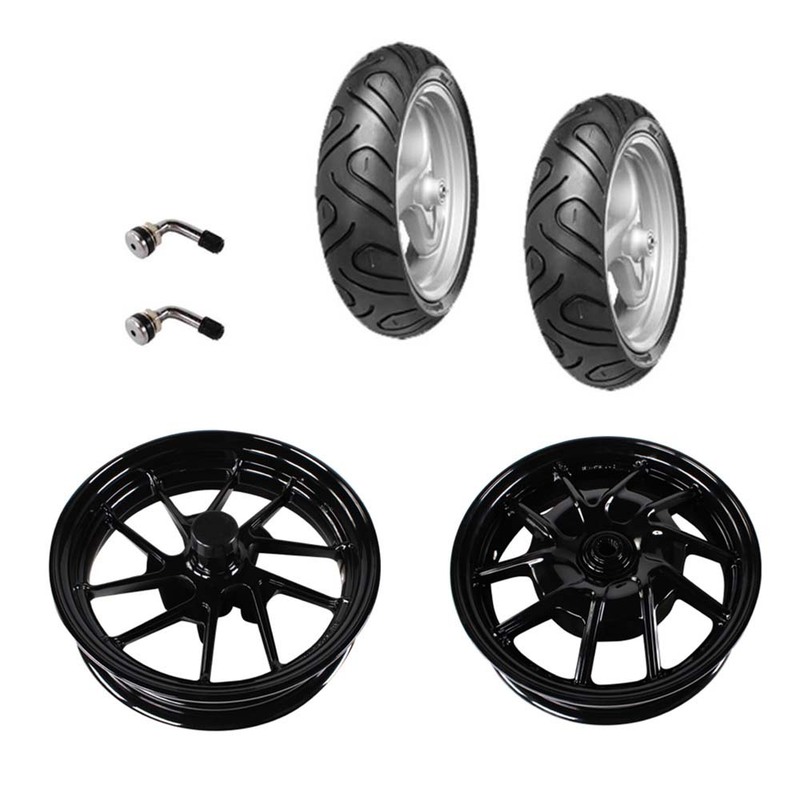 Upgrade your Yamaha Zuma rims and tires while saving 15% buy purchasing our Sport Rim, Tire, and Valve Stem package. Get lighter, sharper, and more aggressive rims while replacing your tires on your GTS at a discount. Pick your riding poison with 1 of 3 great tire options. 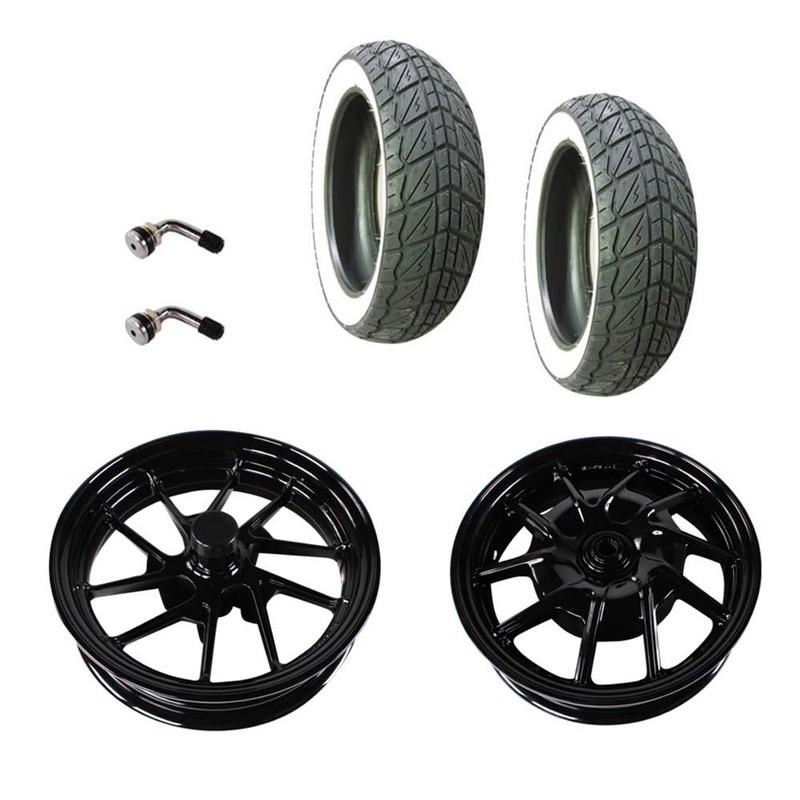 Continental Zippy 1 Blackwall Street Tires, Shinko Whitewalls, or Vee Rubber Winter Tires. 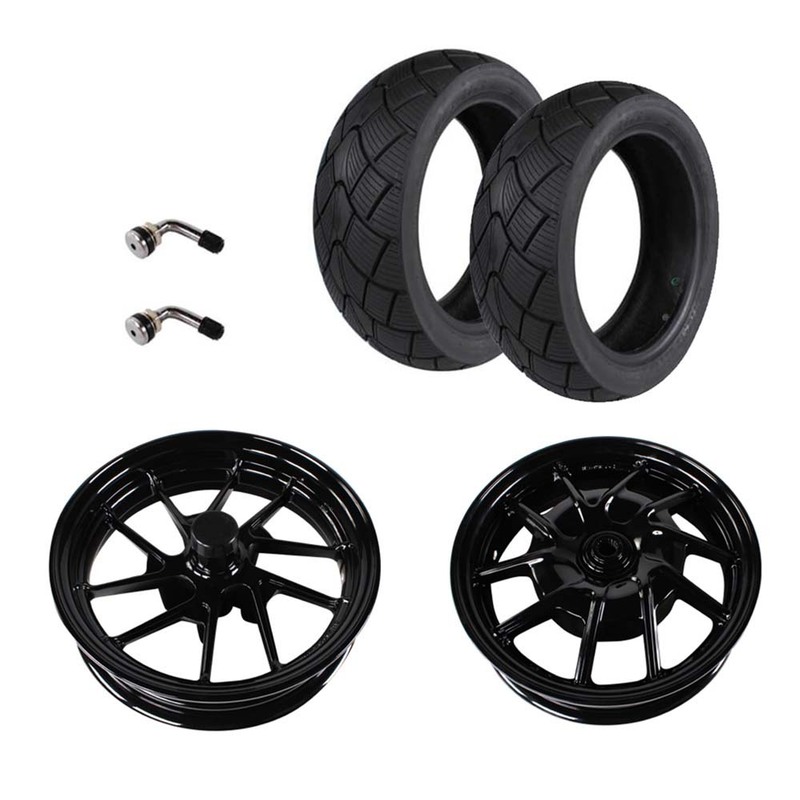 Sets will fit Vespa GT200, GTS 250, and GTS300.